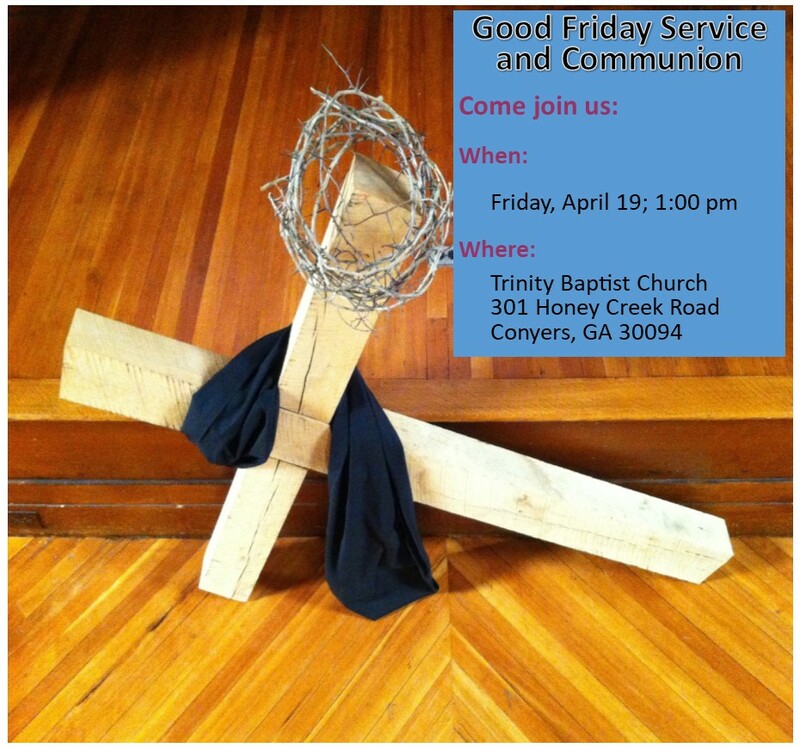 Make plans to attend our Good Friday Service with Communion on April 19 at 1:00 PM as we remember Jesus’s sacrifice for all of us. Invite your friends, neighbors, family and co-workers to join you. 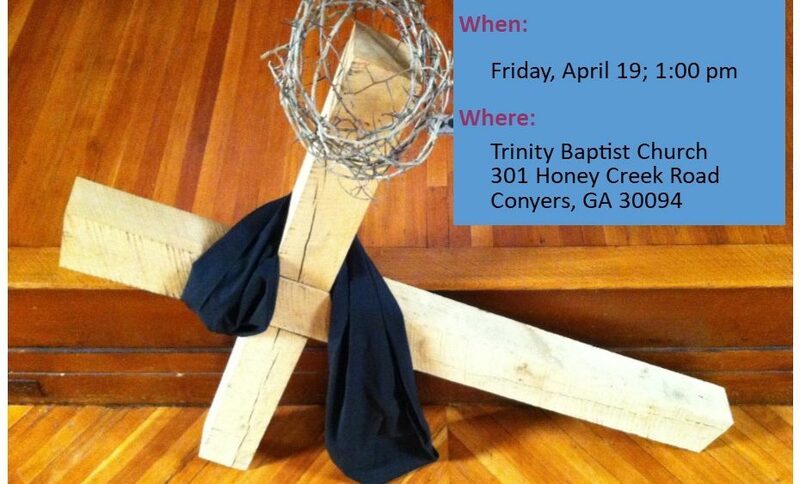 We are going to stream this service live online through our Facebook page at www.facebook.com/TrinityConyersGA. This is a great way for you and your friends to participate if you are unable to attend in person.